Exults Internet Marketing agency is pleased to announce it is moving its offices to a new, larger space to accommodate continued business growth. We are committed to continue to grow Exults to the next level to better serve our clients' needs and increase their returns on their marketing investments. South Florida continues to be a strong and supportive hub for our continued growth! Exults, which celebrated its thirteenth year in business this year, will leverage the new office space to provide outstanding services for its continually growing client-base and flourishing team of employees. Since the birth of Exults, the agency has grown its services almost ten-fold to include everything from website design and hosting, to sponsored search, social media management, and search engine optimization. The new office space provides capacity for more collaboration between teams and enhances operational efficiencies to foster continual growth for Exults and keep pace with clients’ needs. “We are committed to continue to grow Exults to the next level to better service our clients needs and increase their returns on their marketing investments. South Florida continues to be a strong and supportive hub for our continued growth!” exulted Zach Hoffman, CEO & Founder of Exults. Exults has been located at its Downtown Fort Lauderdale location since 2010, where the agency gradually took over more of the building's suites and eventually renovated to combine three separate units. 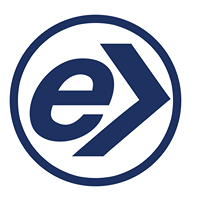 Founded in 2005 by Zach Hoffman, Exults’ services originally included Sponsored Search management and Search Engine Optimization. Natural growth and expansion lead to growing an in-house website development team, programming team, and social media team. Exults is now able to offer clients comprehensive marketing services that include all digital aspects a company needs to target valuable customers effectively to tell their story and generate leads. Although moving locations, Exults will continue its focus on serving companies and organizations of all sizes and all industry sectors ranging from brand awareness to lead generations campaigns. Exults is a full-service internet marketing company that is results driven for its clients and offers a complete range of internet marketing services to reach its clients’ goals. Exults premier services include Website Design, Search Engine Optimization, Pay Per Click Management, Social Media Marketing, Video Optimization, Image Enhancement and Digital PR. For more information, please visit the Exults website or call us at 954-763-1130.